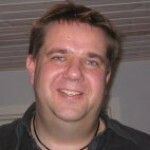 43 years old (2012 that is), living in Århus, Denmark with my wife and two girls. I own my a small consultancy in Industrial Refrigeration. These days I primarily build 1/32 WWII aircrafts, although I frequently stray into other fields. Race cars, motorcycles and a little panzer has been on the menu recently.